Project management is the planning, organizing and managing the effort to accomplish a successful project.Project management includes developing a project plan, which involves defining and confirming the project goals and objectives, how they will be achieved, identifying tasks and quantifying the resources needed, and determining budgets and timelines for completion. It also includes managing the implementation of the project plan, along with operating regular 'controls' to ensure that there is accurate and objective information on 'performance' relative to the plan, and the mechanisms to implement recovery actions where necessary. The best project managers are those who consistently deliver, on time and within budget, projects that meet or exceed stakeholders' expectations. Those project managers understand that leadership and people skills are even more important to good project management than a sound methodology and project tracking tools. Organizations expect projects to be completed faster, cheaper, and better. 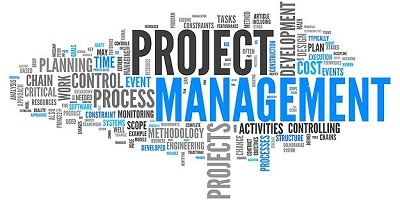 The only way that these objectives can be met is through the use of effective project management processes and techniques.So organizations greatly value trained Project Managers who have the ability to adapt to changing business scenarios and achieve superior project performance. The objective of this course is to enable professionals to understand the various aspects of Project Management and prepare them to use project management software.The programme aims at providing students with knowledge and skills necessary for effective planning and management of projects. It has been specifically developed to satisfy needs of the sector through conceptualizing, perceiving, starting and implementing projects in the ever-changing business environments. The programme provides students with much needed competencies to enable them identify the needs of a given community and develop projects to address those needs. Graduates will also obtain skills to design, implement, monitor and evaluate the performance and impact of development projects. The course gives introduction to Project Management as a philosophy, concept and a business practice. It trains students in project management software of their choice. The software include Primavera Complete, AstraPowerProject and Microsoft Project. The course imparts training on the best practices and methodology that are appropriate to management, civil, mechanical and electrical projects. Professionals in the field of Project Management looking to upgrade their skills with better understanding of Project Management related software can benefit from this course.